The hotel's shuttle takes guests to the airport for $10 per person. Check in: 4:00 P.M. Check out: 12:00 P.M.
Bally's Atlantic City is in the center of all the action, less than one mile from the Hard Rock Cafe. When you book your stay at Bally's, you can take advantage of fantastic amenities, including a fitness center, spa, salon, casino and several restaurants. Located near the famous Atlantic City County Club golf course, this hotel is the perfect choice for your business or pleasure trips. With all the fantastic amenities that Bally's Atlantic City offers, you get the very best out of your Atlantic City trip. 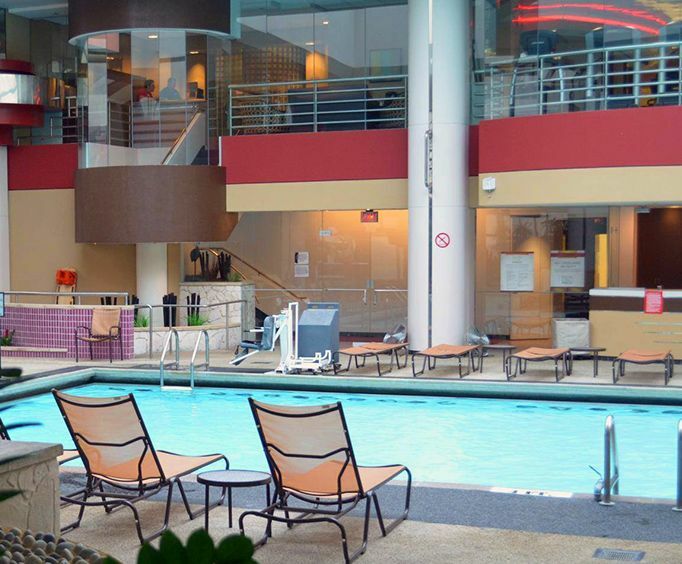 Get your day started right with a refreshing workout at the fitness center, or relax at the on-site spa. Bally's also offers the Bellezza Salon, available to both men and women, for everything from hair coloring to facials, giving you the ultimate rejuvenation experience. Entertainment is not lacking at Bally's either. Try your luck at the casino, or unwind with a signature martini at the on-site Blue Martini bar. The in-room iron helps to ensure that you greet each day looking your best, while the TV gives you the opportunity to rest and unwind from the day. You can venture out to enjoy a superb meal at the Rainforest Cafe or Ruth's Chris Steak House, both less than a half-mile from the hotel. For world-class shopping, you can take advantage of the Pier Shops at Caesars, Tanger Outlets and The Walk, also within a half-mile.